Wiley Rein represents manufacturers, distributors, and retailers of consumer products in the full range of Consumer Product Safety Commission (CPSC) and other product safety regulatory activities. Our practice in the CPSC area includes advising on reporting, responding to CPSC investigations, negotiating with the CPSC, dealing with potentially damaging information disclosures and, where appropriate, developing and obtaining approval of corrective action programs. We also advise on labeling for hazardous substances and children's products, Flammable Fabrics Act, and Poison Preventive Packaging Act requirements, California and other state regulations, the implications of various Department of Energy efficiency and international consensus standards, and transportation safety regulatory requirements. Our lawyers and regulatory analysts regularly appear, formally and informally, before pertinent agencies and at standard-setting meetings. Wiley Rein’s lawyers and regulatory analysts work closely with the company management, engineers, and scientists to develop voluntary programs. Where recalls are necessary, we work through often-thorny DOT transportation requirements. But we often have developed and obtained regulatory approval of innovative solutions that avoid or narrowly limit recall obligations. We are highly cognizant of the public relations issues in these matters and reflect those considerations in our advice. 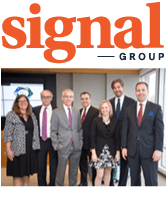 Wiley Rein’s acquisition of SIGNAL Group, one of the nation’s leading crisis communications and media relations firms, further strengthens our capabilities. We also represent clients in addressing their concerns or advancing their interests relating to CPSC and other agency program activities. These activities may be industry-wide rulemaking, standard-setting, or investigatory initiatives affecting a whole product line or specific categories of products within the line. In this context, we represent both individual companies and trade associations. Successfully representing one of the world’s largest computer companies before the CPSC in structuring recalls of batteries and adapters. Advise electronics retailers on product failure analyses, recall implementation, and post-recall agency investigations. Successfully defended a retailer in a CPSC investigation into alleged sales of recalled products. Advising consumer product manufacturers of household cleaning products, automotive fluids, and batteries on designing labeling to comply with FHSA labeling regulations. Advising clothing manufacturers and importers on compliance with CPSC regulations for garments for adults and children, including lead content limits, phthalate content limits, drawstring hazards, and other standards. Addressing for several household-name, international companies’ CPSC concerns with appliance defects involving fire, shock, or burn hazards. Defending manufacturers in a CPSC investigation on whether they met their reporting obligations under Section 15(b) of the Consumer Product Safety Act and in avoiding the release of potentially damaging information under Section 6(b) of that statute and the Freedom of Information Act (FOIA). Addressing CPSC lead content rules on behalf of both children’s products and toy battery manufacturers and distributors. Preparing industry comments in the CPSC’s Rulemaking on Voluntary Remedial Actions and Guidelines for Voluntary Recall Notices and a petition to develop special packaging rules.